We have been in the bottle labeling business for quiet some time, recently we got into the beer decorating business and now we are sort of merging the two. Many times a beer brewer needs to can their beer but can’t pony up the cost of a full truckload of printed cans that they don’t need. This is where we come in. 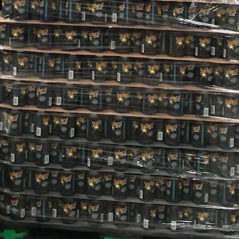 We can supply shrink sleeve labeled cans, from 1 pallet to infinity. All you need to do is give us your artwork and we will tell you when they are ready for pickup. P.S. We can also do filled cans if the need arises. We utilize variable offset presses that print CMYK. The shrink sleeve wraps entirely around the can. We can 3D model your beer so you can see it before you hold it. Most jobs complete within 15 business days from artwork approval. We offer 12oz and 16oz sizes as stock. We can do other sizes as well but the lead time may be a little longer. Every customer has their own special requirements and we try to accommodate every situation. Just let us know and we will work with you. First things first, we need to get your artwork from you. We will supply a template which you will give to your artist. They toss your artwork on it and send it back to us. We double check everything and get you a proof. You sign off that proof and then we start printing your sleeve labels. After you have approved the artwork, we start printing. For most jobs we print CMYK using variable offset presses. This allows us to produce cost efficiently and quickly so that we can the savings on to you. After the sleeves have been printed and they arrive to our warehouse. We will start sleeving them through our steam tunnel which shrinks them on to the can. After that they go through a quality inspection and are packed out onto pallets. 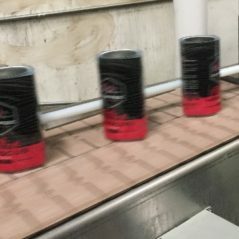 Once your cans get sleeved and pass quality control they then move onto to get palletized in bulk. Once your pallets are stacked they are ready to be shipped to your location or fillers location. Early in the discovery process, Zion Packaging will provide each customer with a die line (template) specifically suited to the desired bag attributes and product size for the project. This die line will define areas of the bag in order to aid the customer in bag design. Zion die lines will be supplied in .pdf format. Our pre-press department runs on Macintosh. Artwork should be supplied in its native format (Illustrator, Photoshop), along with all supporting graphics and fonts. RGB images must be converted to CMYK, as there will be unanticipated color shifts during translation. Please provide files uncompressed. Color separation is essential to the gravure printing process. Please provide raster files in layers to allow for necessary printing adjustments. Any modifications Zion makes are exclusively to allow for a better printing result. In the event we feel there are components of your artwork that may pose inferior printing results, we will indicate such areas and provide a recommended solution. Images must be correctly sized and properly oriented to the bag. Images should be printed at a minimum of 175 lines per inch. 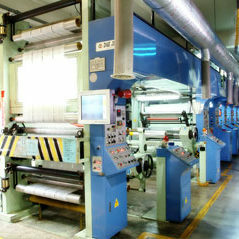 ZionPackaging is capable of printing 250 lines per inch. 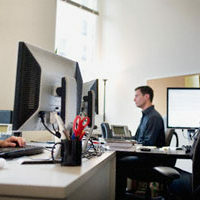 TIFF or EPS files at 300 dpi minimum resolutions are preferred formats for images. If a gradient consists of more than one color (i.e process), please ensure all colors terminate at the same location. The minimum type size for good legibility is 6 point. Type face with small serifs or thin strokes should be avoided. Our font size specifications are based on experience and knowing what prints well and what does not. Metallic Inks are more to “fill-in”, and a slightly larger font should be considered. Key-lines may be required for “knockout” type. This decision will be made depending on various factors, including the color composition of the surrounding background. This single color will enhance printing and provide superior results. Any choice to utilize type smaller than 6 point is the sole responsibility of the client. All text must be supplied in Illustrator. Text supplied in Photoshop is unacceptable as it has already been converted to an image inside the program. Finally, Photoshop text will appear blurry when printed. In the event you do not have access to Illustrator, or your artwork is only available as a Photoshop file, Zion will rebuild the file in Illustrator. Please note pre-press hourly rates will apply. Supply artwork with text converted to outlines. No (limited) editing will be possible by Zion. Supply artwork INCLUDING all utilized fonts. In the event minor text revisions are required, Zion can easily make these changes without trouble. Please ensure all copy is placed within the “Text Zone” as indicated on the Zion Packaging supplied die line. Customer must supply UPC code numbers. If necessary, we have the tools to generate a barcode for your product. Simply supply us with the first 11 digits of the code. Zion will scan the barcode and ensure its readability. UPC codes should be positioned on design to run in machine direction (vertically). This will ensure limited distortion during the shrinking process. Please design the barcode with high contrast in mind. Black on white provides the best combination for success. Artwork should be submitted un-trapped. The standard for traps is 0.2mm. On occasion, a smaller trap is used if we feel it necessary and prudent to provide the best printing results. Often the contour of a bottle and corresponding nature of bag sagging will affect the overall appearance of a project. Zion will offer suggestions if distortion-correction is necessary for your project. Zion utilizes computer modeling in order to compensate for predicted shelf sagging differences in order to achieve a desired result. Please ask for details. For most can jobs, the average shrink is 4%. We will take care of the pre-distortion but please be mindful of how much information you cram in. If there is no room to expand items then we will just have to accept the shrinkage. During the art submittal process, there typically are a few points at which Zion’s graphics department will provide PDF files to electronically proof. This process enables a client to find errors early and correct before final traps and adjustments are made to artwork. Upon approval of electronic PDF, if the customer requests, Zion will create an Epson print proof for the client to review before the project is released to plate/cylinder creation. While Epson proofs are fairly color accurate, there are often slight variations in color when comparing a proof to the final product. A color proof of finished art must be signed and dated and returned to Zion prior to manufacturing. In the event a client must have 100% certainty of the final product, Zion offers on-press first articles. An additional fee applies for this service and takes roughly 2 weeks to complete. Contact Zion for details. Customers are responsible for any misspellings or errors in the artwork they supply Zion Pack. If changes to artwork are required outside the scope of the original quotation, jobs will be assessed and invoiced on an individual basis. How many colors can Zion Packaging support for their labeled cans? It really depends on the size of the order. Since we are trying to offer the best price possible for your specific quantity we may use different printing methods to meet your request. For most small quantity jobs, they will be completed digitally using just CMYK and white. For larger orders we will print either flexographically or rotogravure depending on the timeline required. If we print flexo’ or ‘gravure then there may be more color and print options available. What kind of charges can I expect? The cost per can which includes the label, can and application. The sleeve shipping fee to get them to us. The dunnage(pallet, slip sheets, and top frame). How do I submit a request for quotation to Zion Packaging? Most jobs can be completed within 15 business days from artwork approval. Special requests may take a little bit longer. Please give us a call to discuss. We can produce as few as half a pallet of cans and we can produce as many as you want more than that. Most clients these days submit artwork to us via one of the multitude of online sites, such as dropbox. Please contact us if alternative methods are needed. Artwork should be provided in Adobe Illustrator, with source files and fonts included. Does Zion Packaging provide warehousing services? Yes. Temporary warehousing services are considered part of Zion’s service offering. Extended warehousing is also available should a customer require the service. Please give us a call to discuss. What are Zion’s standard payment terms? Most can sleeving jobs are fairly inexpensive and require payment in complete at time of scheduling. Call for delivery appointment and address.